Attention all ladies! Stop holding back from your truest potential. Give yourself permission to be exactly who you were born to be. Smart women like you, know that this life means much more than waking up, going to work, and taking care of your responsibilities. Yes, it goes much deeper than that! You are here to serve a divine purpose. After my Amazon Goddess training, I created this beautiful and powerful painting. As you continue reading, you’ll see the beautiful intention behind this creation. Training had taught me that I was holding myself back. You probably are too, and you can recognize it buy asking yourself the same question, am I holding myself back? (you know the answer.) If you are, don’t beat yourself up about it. Our society conditions women to serve others and to deny ourselves. Many are taught to be selfless, and putting ourselves first is deemed selfish. Everyone knows what they say on airplanes, but your mask on first before attempting to help anyone else. So, I thought about different ways could I be more helpful to others, if I would first help myself. 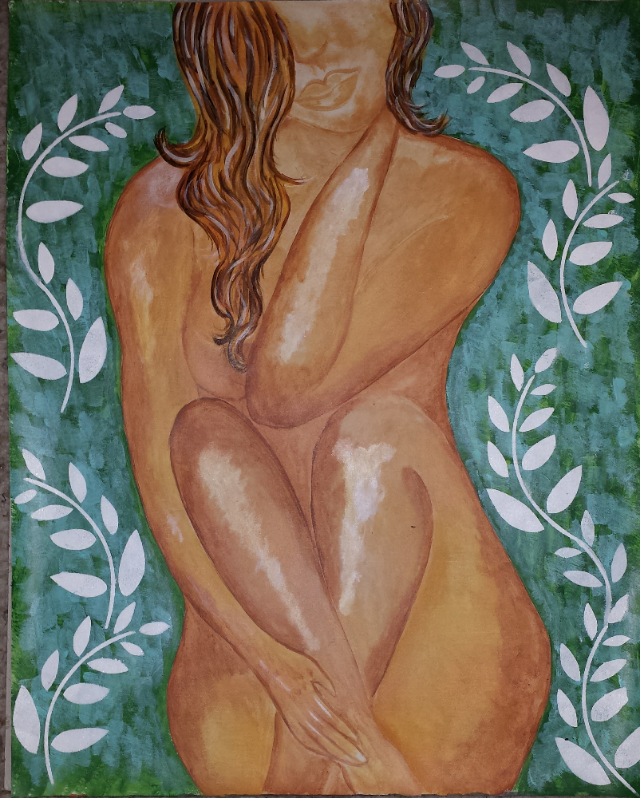 Therefore, this painting is about loving who I am, as I am; and that is why she is naked. I was created beautiful and powerful is so were you! If you’d like to own this painting to remind yourself to be all that you are meant to be, then contact me now! You can become the proud owner of something original, unique, and beautiful just like you. In fact, share this post with others and get a 10% discount! Offer ends May 31st. Artist: The painting is 100% hand painted by Maya Perez using acrylic paint, canvas and brushes. This entry was posted in Art For Sale and tagged acrylic, African American, art, artist, black, canvas, goddess, painting. Bookmark the permalink. ← Dance to the beat of your heart!